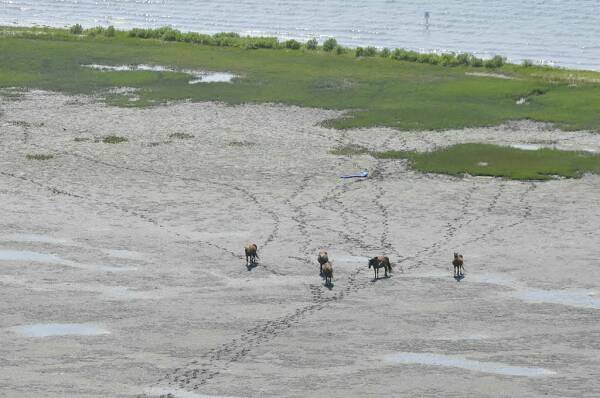 Check out our Maryland tours here, from Downtown Ocean City, to the Indian River Inlet Bridge, or even Assateague Island - you might even see wild ponies! As always, It's a Beautiful day to Fly! Each tour is priced per tour, not per person. with a combined MAXIMUM weight of 425 lbs. 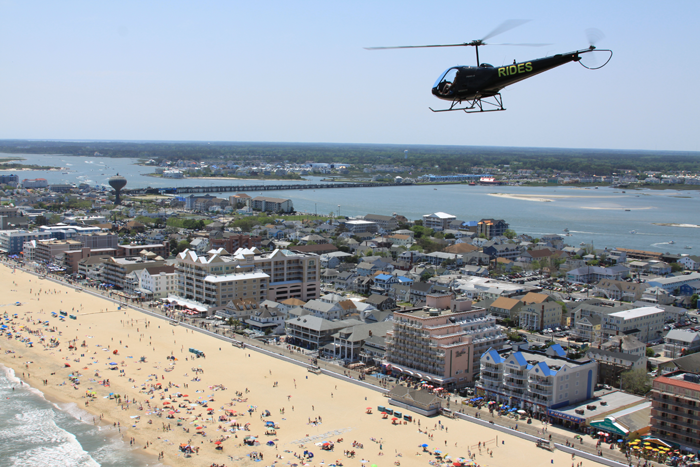 Our Downtown Tour departs from the Ocean City Municipal Airport and travels up the Sinepuxent Bay through downtown Ocean City for views of the amusement rides at the south end of the Ocean City Boardwalk. 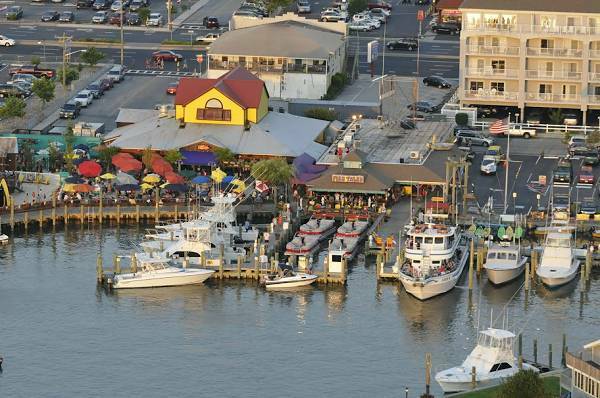 The tour continues back over the inlet and West Ocean City Harbor, then back to the airport to end your tour. 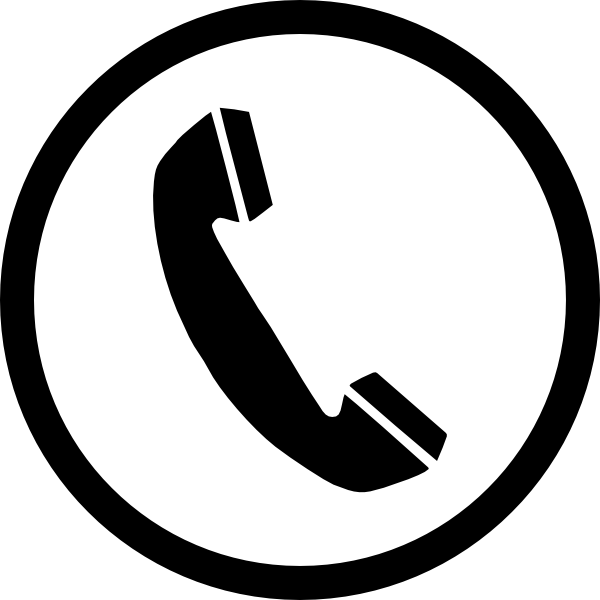 This is an affordable ride for everyone, that lasts approximately 10-15 minutes. The tour is perfect for first timers who may be uncertain, but we promise - you'll love it! 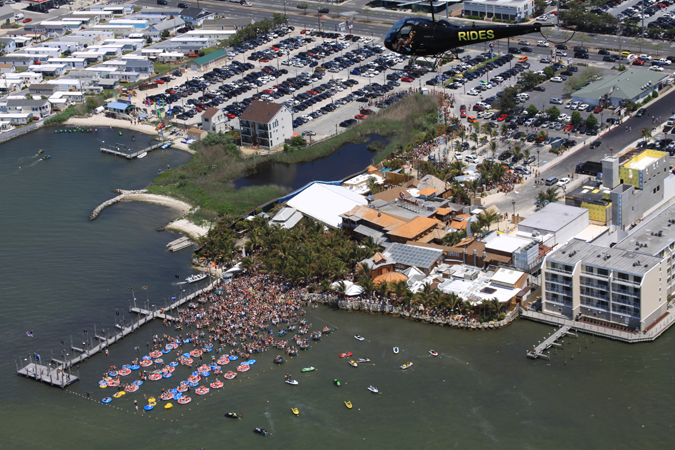 Our Route 90 Bridge Tour departs from the Ocean City Municipal Airport and travels to West Ocean City, from there, the tour flies over Ocean City's bayside overlooking the city's famous hotspot Seacrets: Jamaica USA. 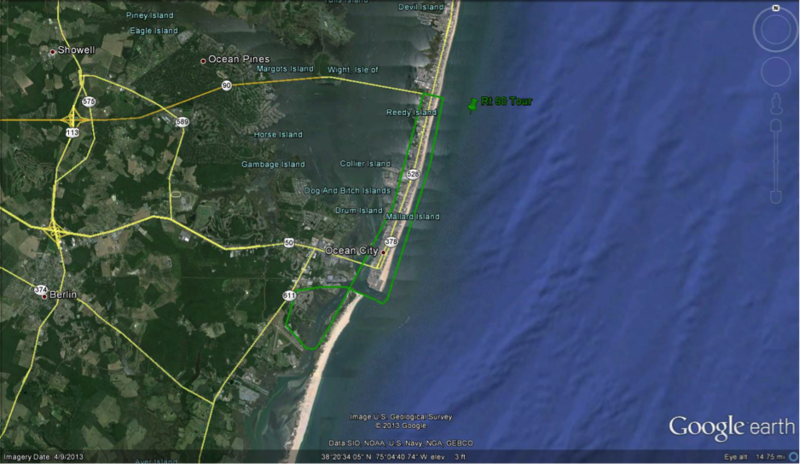 We then travel to the Route 90 Bridge, then head back down the beach to the Ocean City Inlet and West Harbor. To end the tour, we'll head back to the OC Airport. The duration of the tour is approximately 20 minutes. 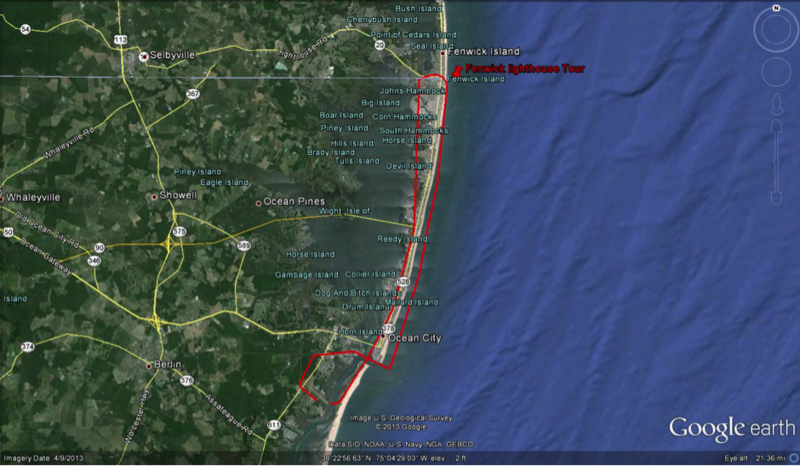 Our Fenwick Lighthouse Tour departs from the Ocean City Municipal Airport, we head out from the airport traveling to West Ocean City flying over Ocean City's bayside area progressing all the way to Route 54 in Fenwick. 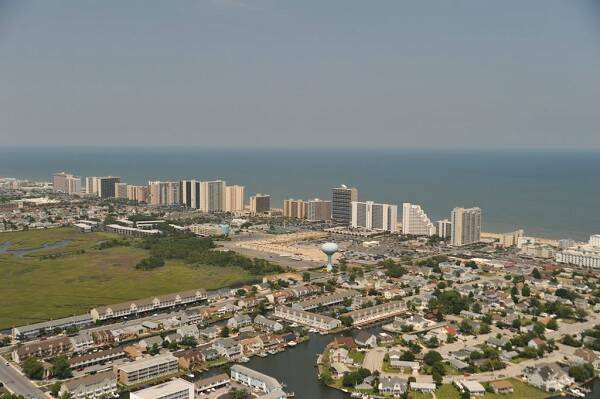 This gives you a chance to see the historic Fenwick Island Lighthouse from the sky. 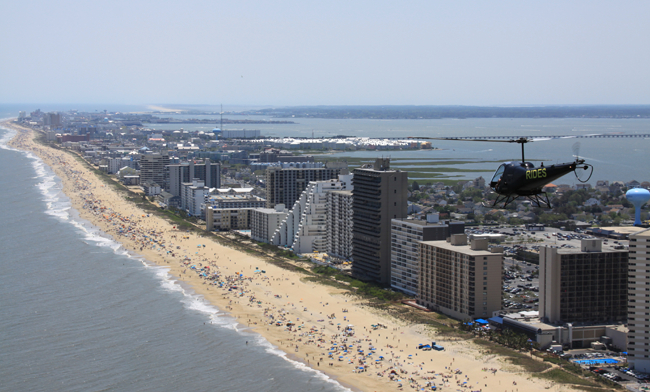 The pilot will then make the turn to head back down the beach over condo-row to the inlet, followed up by the West Ocean City Harbor. 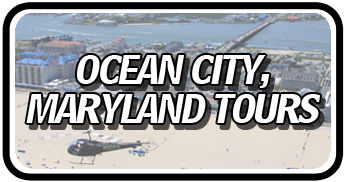 The tour ends by back at the Ocean City Airport, and the flight time is 25-30 minutes. 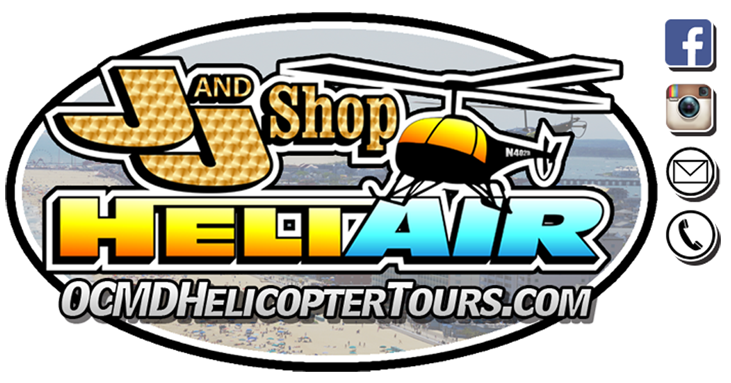 Our South Point Tour departs from the Ocean City Municipal Airport, traveling south towards Assateague Island. 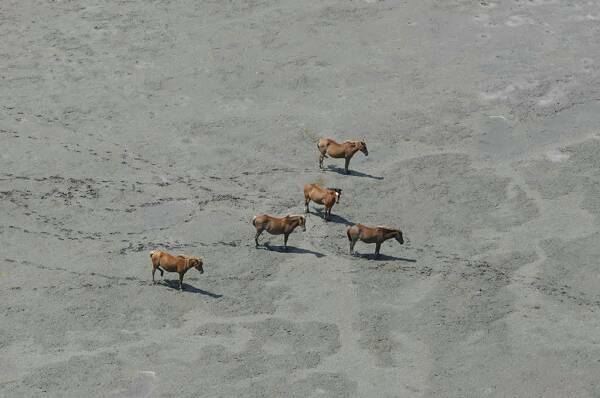 This is one of our more popular tours, because it gives you the chance (never a guarantee, but always possible) to see Assateague's famous wild ponies. Along with the ponies, there is always the possibility to see other marine wildlife playing in the surf, some passengers have even spotted a whale! 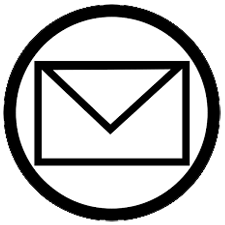 We then cross the Verrazano Bridge to South Point and fly over some of the historic farms and homesteads that have been preserved throughout the years. 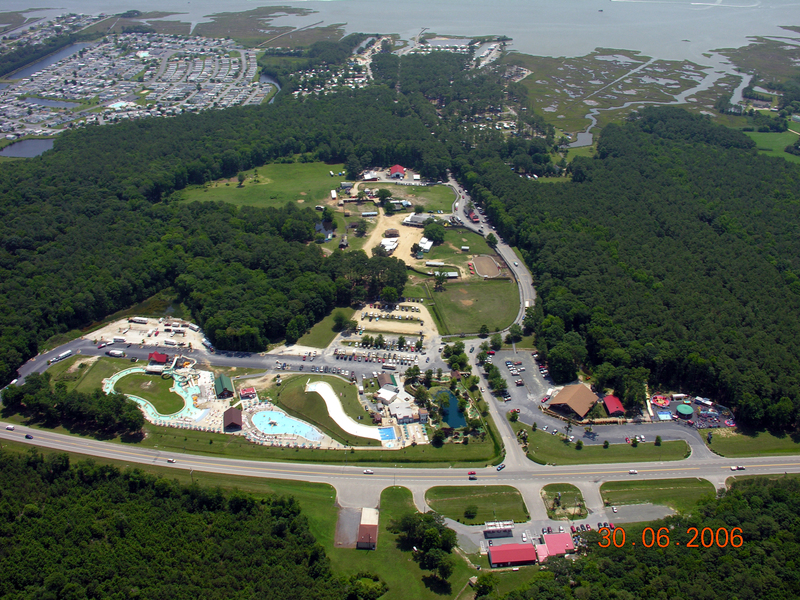 You will also be flying over Rum Point Golf Course, and Ocean City Golf Club, which gives you a chance to see the local golf courses from above. 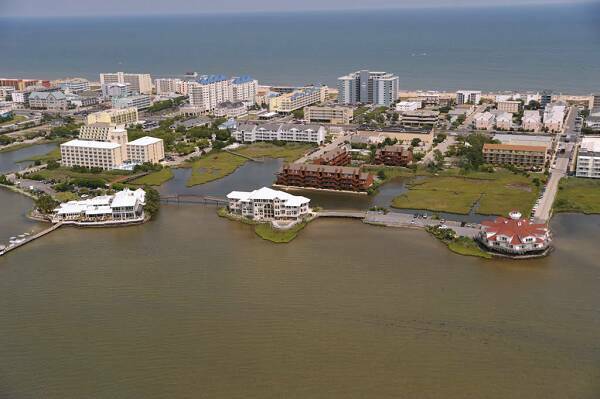 You also will see the beautiful homes located around the point. The tour takes a turn and heads back up Ayres Creek over Frontier Town Campground, and over Eagle's Landing Golf Course. 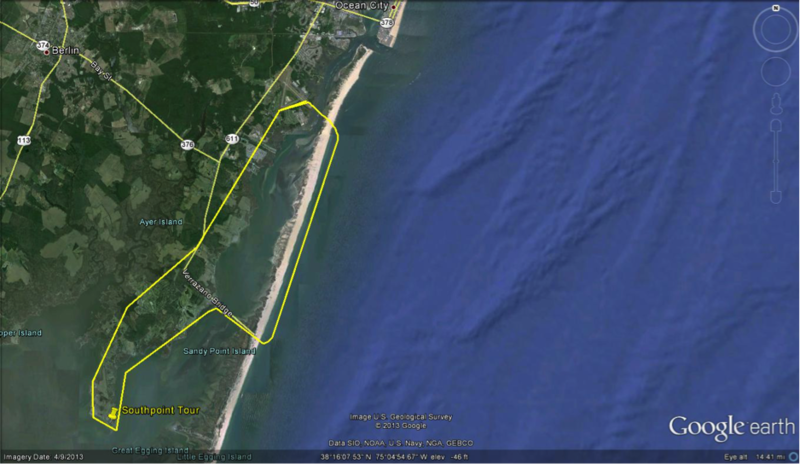 To finish the tour, you'll head back to the Ocean City Airport, the length of this flight is 25-30 minutes. 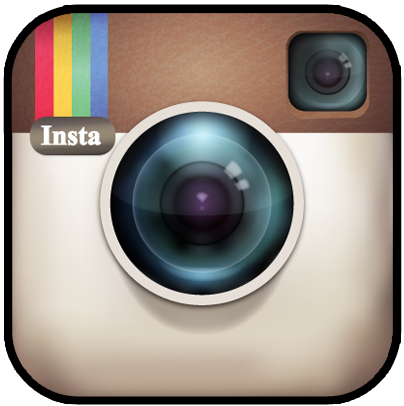 St. Martins River to Ocean Pines Yacht Club and Marina. 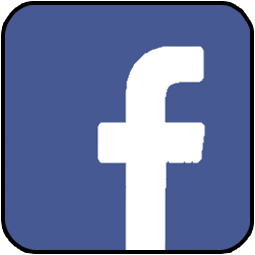 You will then cross over to the Isle of Wright over the links at Lighthouse Sound to the Bayside Resorts and Freemon Stage Amphitheater. 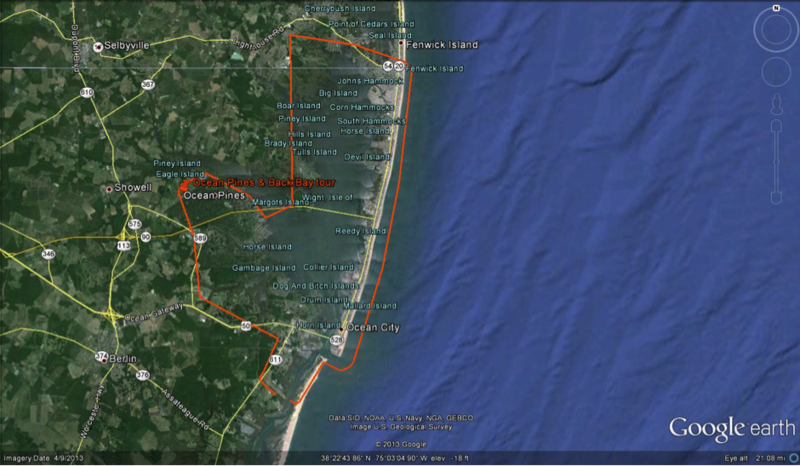 After crossing the head of the bay over to the Fenwick Island Lighthouse, then turn South along the beach past the Northside Park and multiple other points of interest while heading back towards the Ocean City Inlet. 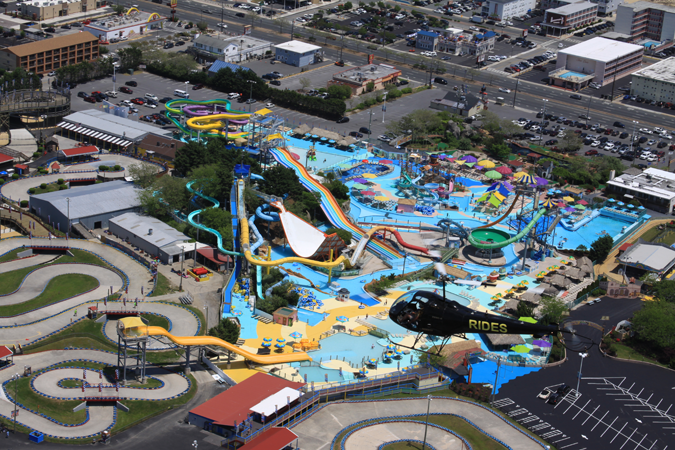 From there, you will fly over the inlet circling the amusement rides at the pier, then on to West Ocean City and touchdown back at the airport. The approximate duration of this flight is 35-40 minutes. 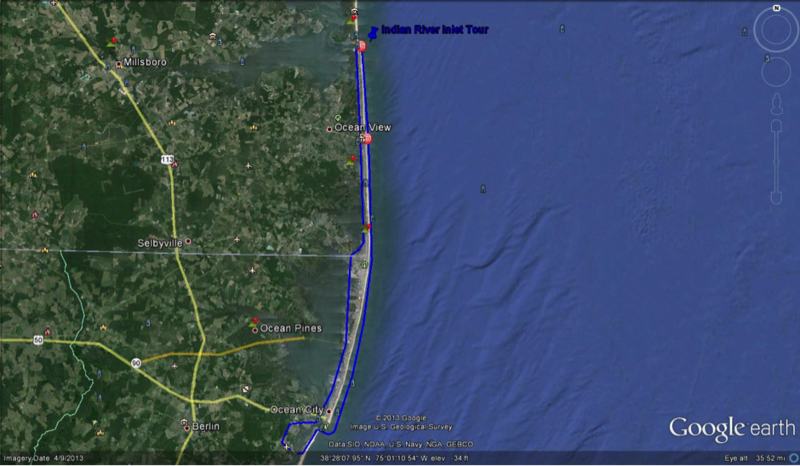 Our Grand Tour is the Indian River Inlet Tour which departs from the Ocean City Municipal Airport and heads out from the airport traveling to West Ocean City heading over the bayside area, all the way to Route 54 in Fenwick. 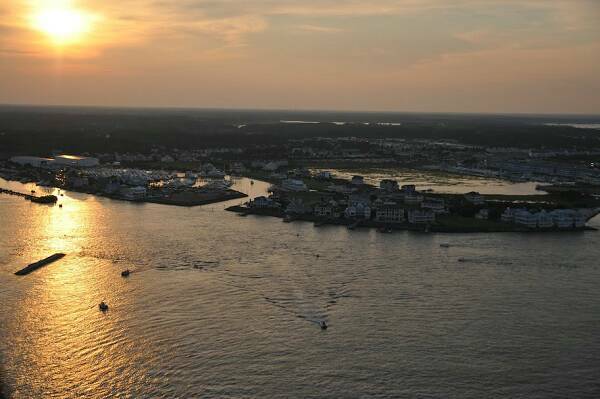 It gives you, the passenger, the chance to see the historic Fenwick Island Lighthouse from the sky. Continuing up the bayside of the Little Assawoman Bay over Bethany Beach, Salt Pond, and Old Basin Cove to the Indian River Inlet, to see the inlet bridge from a different altitude. 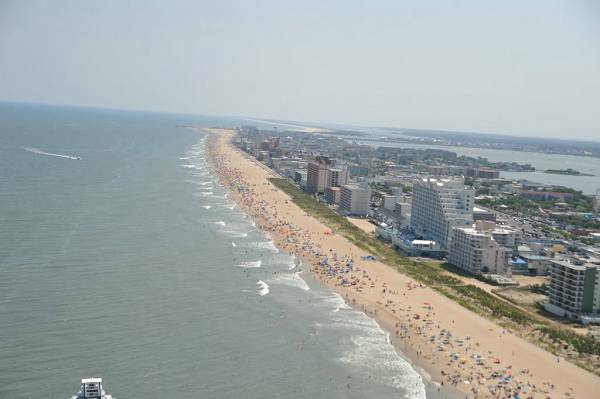 Then, we head back South along the famous beaches of Delaware, seeing the beach crowds, boats, and fishing tourists. 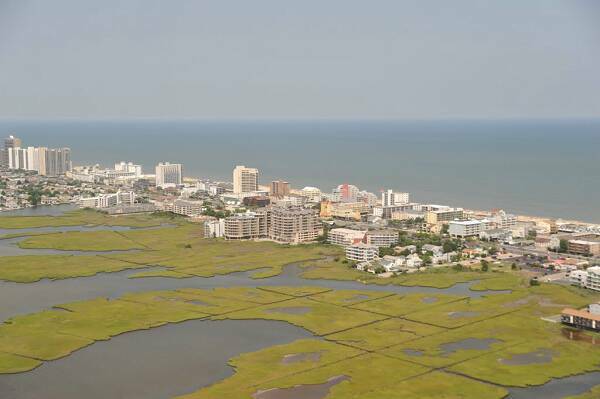 You'll have a different perspective of the beach throughout the tour, and you get a bird's eye view of the World War II concrete observation towers. The towers were placed along the East Coast, to serve as protection against enemies attack during the war. 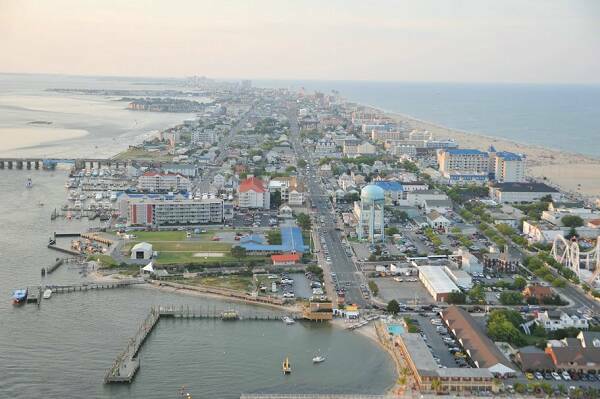 Continuing from Fenwick over the Ocean City beachfront, high rise condominiums, and onto the Inlet and the West Ocean City Harbor. 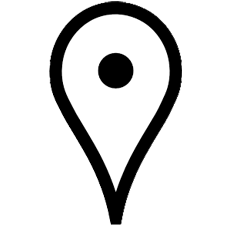 The OC Airport will end your tour, and the duration of flight is 45-50 minutes.